Erwin Helfer, I'm Not Hungry. . .
MIAMI (AP) — Organizers of the Latin Grammy Awards are listing Miami as one of four cities under consideration to host this year's event, after threats of demonstrations drove away the show in 2001. The Latin Recording Academy announced potential host cities Friday, but spokesman Ron Roecker said he could not describe the specifics of negotiations among the academy and likely venues for the event. The show was moved from Miami in 2001 after Cuban exile groups threatened to protest the event because performers from the communist country would have been allowed to perform. Organizers moved the show to Los Angeles because of safety concerns. Miami city and county officials, including Miami-Dade County Mayor Alex Penelas and Miami Mayor Manny Diaz, want the show to return. "The Latin Grammys belong in Miami," Penelas said. Other cities in the running are New York, Los Angeles and San Juan, Puerto Rico. Organizers said Friday the host city will be selected in a few weeks. The date for the 2003 Latin Grammys has not been announced. The show will be broadcast by CBS. The Associated Press – MUSCLE SHOALS, Ala. — Clarence Carter will be inducted into the Alabama Music Hall of Fame Saturday during a ceremony in Mobile. FAME Recording Studios founder Rick Hall, who produced the singer's groundbreaking Muscle Shoals sessions in the 1960s and '70s, will present the award to the 67-year-old singer. Other inductees include Emmylou Harris, singer Eddie Floyd, songwriter Mack Vickery and jazz orchestra leader James Reese Europe. "Even disregarding music, Clarence is one of my best friends and one of the finest and brightest men I've ever met," Hall told the TimesDaily. "He's devoted his whole life to the music business, and he's not only a great artist, but a good businessman and a real professional. I can't say enough good things about Clarence Carter; he's just a wonderful human being." 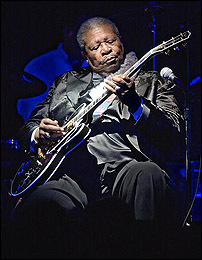 Carter's hits include "Slip Away," "Too Weak to Fight," "Patches" and "Strokin'." The Associated Press – LOS ANGELES — The NAACP chose Cedric the Entertainer to host its upcoming Image Awards show despite his jokes in the film "Barbershop" that angered some black leaders. His character made mocking remarks in the film about civil rights icons the Rev. Martin Luther King Jr. and Rosa Parks, sparking complaints upon its release in September from the Revs. Jesse Jackson and Al Sharpton. Kweisi Mfume, president of the National Association for the Advancement of Colored People, said the uproar was "overblown." He noted that other characters in the film shouted down the remarks that Cedric's character made. Mfume said Thursday he hoped choosing the comedian as host would help put the controversy to rest. "Some people, and it's their right, will object and say it's not the right choice, but thank God this is America, where people can do that," he said. "We're not a monolithic community, African-Americans — never have been and never will be." "Barbershop," about friendships forged at a hair salon in a black neighborhood of Chicago, has five Image Award nominations, including best picture and best supporting actor for Cedric. The film, now available on DVD and home video, was a box-office hit that collected more than $75 million domestically. Cedric has had four consecutive Image Awards — presented by the NAACP to people of color for their work in literature, television, film and music — for comedic supporting TV actor for "The Steve Harvey Show." He also stars in his own Fox variety show, "Cedric the Entertainer Presents." Show-business professionals and NAACP officials from across the country choose the Image Award winners. The 34th annual ceremony is set for March 8 at the Universal Amphitheatre, and Fox will broadcast a tape of the program on March 13. The Association of Performing Arts Presenters awarded House Democratic Minority Leader Rep. Nancy Pelosi of California with the Sidney R. Yates Advocacy Award for outstanding advocacy on the behalf of the performing arts. Pelosi was among four other leaders in the performing arts field being honored during the Arts Presenters 46th Annual Members Conference Awards Ceremony and Members Luncheon on January 13 in New York. Among the other recipients were classical music ensemble Kronos Quartet; founder and artistic director of El Teatre Campesino, Luis Valdez; and program director for the arts at the Doris Duke Charitable Foundation, Olga Garay. "Arts Presenters is proud to honor these outstanding individuals and groups whose commitment to the arts is unyielding, said Sandra Gibson, Arts Presenters' President/CEO. "Through their work, so many lives and communities have been enriched." Encouraged by Sidney R. Yates' example and leadership, Congresswoman Pelosi was an outspoken advocate for the arts during the heated congressional debate over NEA funding in 1998 and again in 2000 and 2002. She has focused national attention on the need for education that includes the arts, and access to the arts for undeserved communities through the NEA. "Exposure to the arts through the NEA helps children build confidence in their class work, honors their creativity, and unleashes the power of their imagination," Pelosi said in a statement to Congress in July of 2002. The Sidney R. Yates Advocacy Award, which was presented for the first time in 2002, was named for the late Congressman, whose commitment to the arts was legendary. The award, which is given with permission and support of the Yates family, honors an individual or an organization for a particular advocacy effort or for a sustained advocacy campaign at the national, state, or local level that has a significant impact on the performing arts. Previous recipients include: former Governor of Pennsylvania and Director of Homeland Security, Tom Ridge and Masaru "Pundy" Yokouchi of Maui Arts & Cultural Center. The Award of Merit, received by the Kronos Quartet, honors individuals whose genius, energy, and excellence have defined or redefined an art form for today's audiences. Previous recipients of the Award of Merit include: lighting designer, Jennifer Tipton, composer Aaron Copland, Jazz pianist and educator, Dr. Billy Taylor, choreographers Martha Graham, Merce Cunningham, and Bill T. Jones, and The National Endowment for the Arts. The William Dawson Award for Programmatic Excellence, named for the former Director of the association, William M. Dawson, and received this year by Luis Valdez, honors an individual or organization for the quality, innovation, and vision of program design, audience building, and community efforts. Past recipients of the Dawson award including: Dr. Ellis Finger, La Peña Cultural Center, Grand Performances, and University Musical Society/University of Michigan. El Teatro Campesino (The Farmworkers Theater) is the brainchild of its Artistic Director, Luis Valdez, who originally organized the theater in an effort to raise funds for the Delano grape strike of 1965. El Teatro Campesino brings the Chicano experience, a vital component of American culture, to stage and screen and is the leading presence in what has become known both nationally and internationally as teatro chicano. While Valdez guides El Teatro Campesino, his work as a playwright, screenwriter and director have garnered him critically and popular success with such as films as the box office hit "La Bamba" and the 1978 musical "Zoot Suit." The Fan Taylor Distinguished Service Award Recipient, Olga Garay is responsible for the planning, design, management and evaluation of the Arts Program for The Doris Duke Charitable Foundation. In 1999, Garay was instrumental in securing a $3 million gift from the Duke Foundation to sustain the Arts Partners program, which provides funding to presenting organizations for audience development projects. Major programs developed by Garay include the Leadership Presenting Institution Program, which has awarded more then $45 million to the country's leading presenting institutions; A Theatre Initiative created in collaboration with the Andrew W. Mellon Foundation and The Talented Students in the Arts Initiative, a collaboration with the Surdna Foundation. During her three-year tenure, the Arts Program has awarded more then $100 million to performing arts institutions throughout the country. Prior to joining the Duke Foundation in 1998, Garay's exceptional work as a presenter and as the Director of Cultural Affairs at Miami-Dade Community College/Wolfson Campus placed the Cultural Affairs department on the national and international map of performing arts presenting. Established in 1972, the Fan Taylor Distinguished Service Award is honors the founder of what is now known as the Association of the Performing Arts Presenters. The award recognizes an individual whose outstanding service, creative thinking, and leadership have had a significant impact on the profession of presenting and/or on the Association of Performing Arts Presenters. The recipient is not revealed until the awards ceremony at the annual conference. Past recipients of the Fan Taylor award include: Susie Farr, Jacqueline Davis, Halsey North, Bill Dawson and Fan Taylor. The Association of Performing Arts Presenters was founded in 1957 and provides a wide range of programs including the Annual Members Conference, professional leadership development and continuing education opportunities, financial support, publications and arts advocacy to encourage networking and collaboration with the ultimate goal of bringing performing artists and audiences together in every place and way imaginable. Arts Presenters is the only association that encompasses all facets and genres of performing arts. Arts Presenters has more than 1,400 member organizations in North America, Europe, Asia and Latin America that include arts managers, producers, touring artists, presenters, educators, funders and agents.